The new trending topic among online businesses is Online Reputation Management (ORM). But is this just a fad, or something businesses really need to be worried about? Well, according to marketing statistics, online reputation management information is a serious factor, which all businesses should pay attention to before it affects their profit line. This is a special service that keeps your professional reputation clean and in good standing in the online world. You see, when you have a problem with a customer or potential customer in the physical business world, you can negotiate, talk about the problem and solve the issue so the customer is satisfied. No one else need know about the problem. But online, anyone can post anything, defamatory, positive, negative or just about anything they want. Unfortunately, these comments are visual and can remain on the internet indefinitely; meaning they can affect your reputation for years – and consequently your business. Why? Well, online marketing statistics show that most consumers look for information and reviews on a product or service before purchasing; so even a business that doesn’t deal primarily on the web, can be affected by negative comments made on social media websites, review sites or blogs. 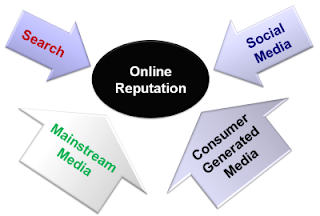 To protect businesses against defamatory information, there are companies that specialize in online reputation management, and they offer services that keep a company in good standing online, just as PR companies do offline. Blogs – they create a positive reputation by blogging about your business in a positive light. Social Media Management – these companies manage social media accounts for businesses, posting consistent positive information about the company. Article marketing – another method to build a positive image for a business, as this promotes credibility. Connecting with Current Customers – a reliable Online Reputation Management company may also use feedback, surveys, newsletters and even forums to promote your business; giving your credibility and a reliable image, so any negative information posted about you is downplayed or minimized. Protecting your reputation, safeguards your bottom line. All it takes is one negative comment against no positive feedback to change the minds of future potential customers. By getting help with your online reputation you can protect your business image and your profit. With online technology comes also the need to maintain a good public image as a bad information can really spread out fast. The problem nowadays people really tend to depend on the information they get from the web whether true or not that's why really maintaining online reputation is important. It could either make you or break you.